If you have any questions about buying or selling a home in Camarillo, feel free to reach out to Ventura County Homes By Ainslee by filling out one of the forms on this page, by email at AinsleeCharles@Gmail.com, or by call/text to 805-232-8503. Ventura County Homes by Ainslee does not use a cookie cutter approach to real estate. Ainslee Charles treats each and every client as an individual and understands that everyone’s situation is unique. She understands the emotions and stress that can be involved when it comes to buying or selling a home. If you are looking for a real estate agent in Camarillo that goes above and beyond to get the results that you deserve, you have come to the right place. Whether you are looking for a home in Camarillo, or anywhere else in Ventura County, Ainslee will happily help educate you on the buying process or guide you through selling your home . Her duty is to make sure that each of her clients receive the outcome they desire. Since buying or selling a home is usually the largest financial investment you will make, you want to make sure you work with the best real estate agent in Camarillo. Ainslee is committed to treating you and the house that you are looking to buy or sell with the utmost respect. Her goal is to give you all the information you need to make informed decisions so that your process is as stress-free as possible. Ainslee Charles is a real estate agent in Camarillo who also works in the cities of Fillmore, Moorpark, Ojai, Oxnard, Port Hueneme, Santa Paula, Simi Valley, Thousand Oaks, and Ventura. She has the experience to help you buy or sell a home for what it’s truly worth because she understands the ins and outs of Ventura County real estate. With her on your team, your real estate transaction will be as smooth as possible. 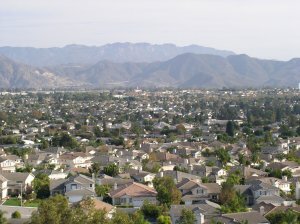 When it’s time to list your home, there is a lot more for a real estate agent in Camarillo to do than just listing it on the MLS. Ainslee uses her marketing expertise to ensure that your home reaches as large of an audience as possible. Here are some of the strategies that Ainslee uses to market your home. • Works to understand your desired outcome, whether that’s achieving the highest price possible, selling as quickly as possible, or anything in between. • Helps you decide if you should stage your home or not. • List your home in the Ventura County Regional Data Share (VCDS) Multiple Listing Service (MLS), a database searchable by Realtors. • Approximately 90% of potential home buyers start their search on the internet, so in addition to the MLS, Ainslee will also list your house on Redfin, Zillow, Trulia, etc. • Discuss creating a virtual tour of your home. • Professional photographs of your home and color brochures to be put on display. • Create mailing pieces to be sent to the homes in your neighborhood advertising your house for sale. • Submit your home to be viewed during the local broker caravan. • Place a high-quality for sale sign in your front yard. • Hold open houses to get maximum exposure. Using a real estate agent in Camarillo to purchase a home is critical for protecting your interests and ensuring that you find the home that you are looking for. As your buyer’s agent, Ainslee works diligently to help you find the home that fits both your needs and your finances. Some realtors will push you to exceed your budget so that they can get a higher commission. When you work with Ainslee, she will be your advocate and do only what is in your best interest. • Help you find the various services you might need, such as home inspectors, mortgage lenders, etc. If you would like to talk to Ainslee about your Camarillo real estate needs, she can be reached at 805-232-8503, by email at AinsleeCharles@gmail.com, or by filling out one of the forms on this page. If you just have questions about real estate in general, Ainslee would love to answer them with no obligations.